​As I Lay Dying returns with a new song "My Own Grave"
The American metalcore act As I Lay Dying has returned with the release of the first track after a long break. The song called "My Own Grave" can be listened to above. The single became the band's first release since their 2012’s album "Awakened". In 2014, As I Lay Dying suspended their activities due to the arrest of the main vocalist Tim Lambesis, who was sentenced to 6 years imprisonment (later changed to house arrest) for soliciting murder of his wife. Lambesis' lawyer and the musician himself insisted that the decision to hire a killer was made because of the harmful influence of steroids, which made the artist mentally unstable. After the frontman's arrest, the remaining members of the band formed Wovenwar with vocalist Shane Blay (Oh, Sleeper, Between the Buried and Me), releasing two albums — the same-named "Wovenwar" and "Honor Is Dead". 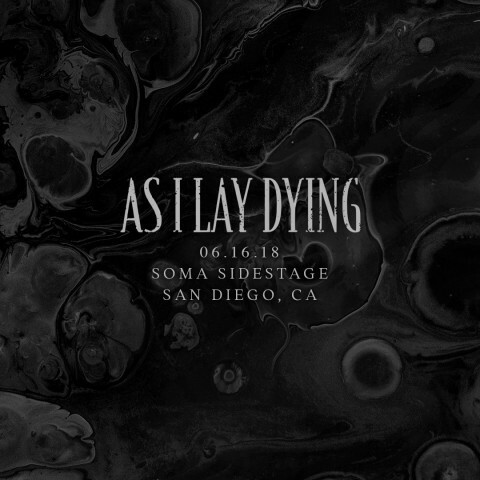 See also: Wovenwar's video "Cascade"
In addition to the new track, As I Lay Dying also announced the first concert after their return, which will be held on June 16 in the musicians’ hometown, San Diego, California.